What is involved in an Andy Webb Refurbishment ? Having sailed Hurricanes to a high standard for nearly twenty years and built and repaired them for the past 14 years I am able to apply all my experience for the benefit of the Hurricane 5.9 owners through my workshop refurbishment service. This applies to pre-sale boats and those already out there under private ownership. The process then begins with repair work to the deck surfaces and rudders/centreboards. A boat sold fully refurbished is a very safe way to buy, all you have to do is add water and enjoy ! Time does not always allow for boats to be refurbished before their sale. 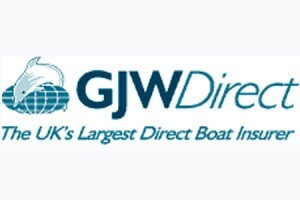 Most of the boats priced to refurbishment are in a condition you would expect to find a privately owned boat for sale. With this in mind it would be possible to lower the price if you are happy with the pre-refurb condition or wish to do some work yourself, or perhaps bring the boat back at a later date for some cosmetic work when funds allow. Is also possible to adjust the price of the boat if you do not require a road trailer. A delivery option can also be worked into the price. Do you have a boat for sale or part exchange? Done a fair bit of sailing (dinghies, hobies, darts, hurricanes), sometimes down at Datchet crewing with Maxine Oliver. Interested in buying a Hurricane 5.9SX.